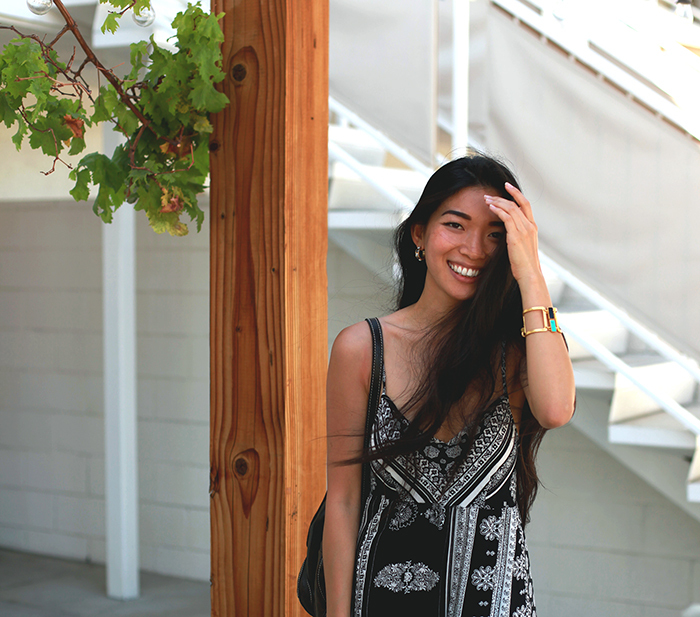 For my second day at Coachella, I was super relieved I had strategically planned a couple of cozy and comfortable looks in O'Neill after a long first night out. I've been a fan of O'Neill since I moved to California and became centrally immersed in the land of surf, and their stuff is so right for the free vibes of Coachella. 1st Look: O'Neill dress (in stock here). Patricia Nash backpack. BC wedges. 2nd Look: O'Neill top. 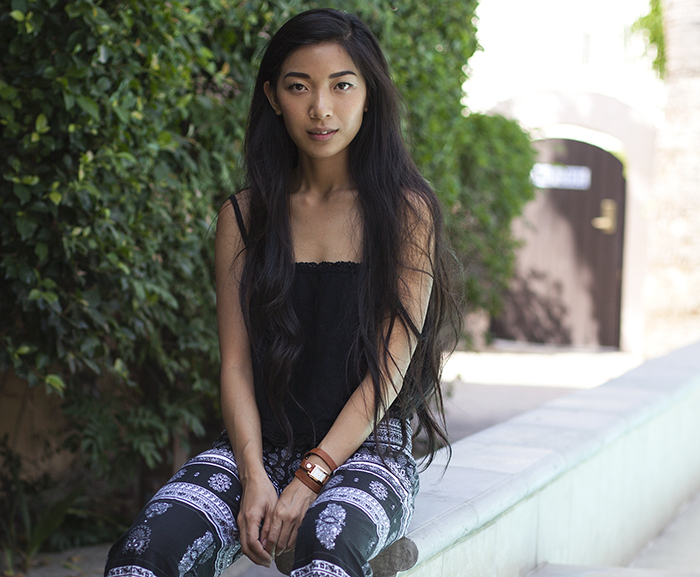 O'Neill pants. La Mer watch. Birkenstock sandals. 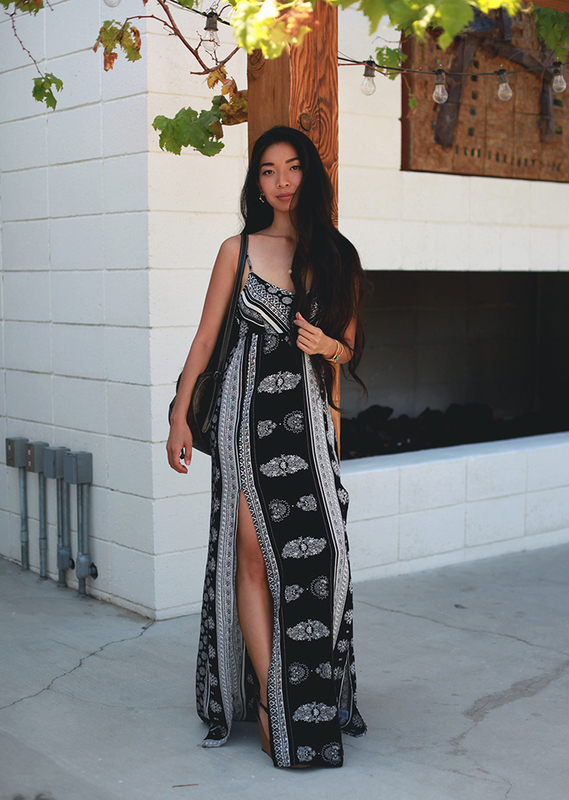 After an early morning of quick recovery, I slipped on this beautiful printed maxi dress for an easier-going day out in Palm Springs. We were all craving a hearty brunch to start us off right and we found this cute little place called Jake's right in Downtown. Of course a Saturday brunch isn't complete without a little party liquid from Stack Wines, which are great little portable wines we took with us all over town. Filling up on delicious food makes all the difference in the world with the day and we were ready to get on with our party route. Kyle and I headed over to the relentlessly chic Ace Hotel to stop by our good friend Kelsi's Blogger Lounge where we enjoyed special, intimate performances from artists such as Josie Florence and The Pierces. 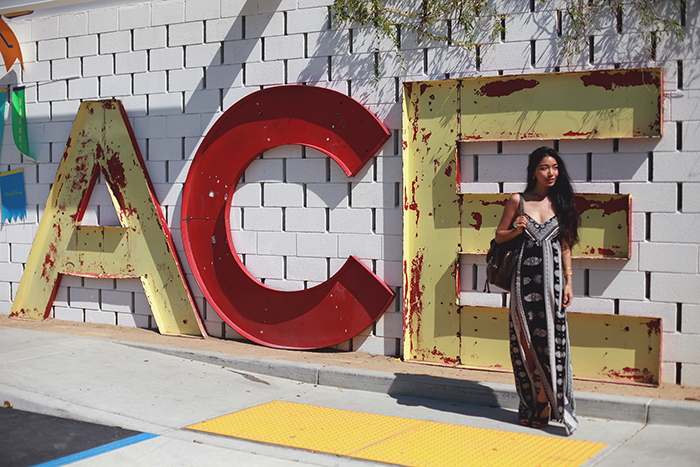 We kept this stop super low key and explored the widespread grounds of the Ace, letting my O'Neill dress flow free in the sun and across their famous mural installation. While we were able to rejuvenate with some vitamin D and rest, we Uber'd over to The Saguaro where it was about to get turnt up 180º. A Club Called Rhonda was hosting the party of the day and it was prismatic, lively, and wild. This is where Halloween gets relived in the most fabulous way - think lots of Adam & Eve wardrobes and eccentric headpieces. We lounged in VIP and sipped on lots of free Blue Moons; this is one of those pool parties we can never miss. After dancing away all the energy we had replenished, we had to make a stop back at our hotel to rest up before heading out to the fields. I changed into my wide-legged O'Neill pants and top to lounge snugly by our quaint pool and I had no motivation to leave again for the day. But the opportunity to see Lorde should never be passed up. Stay tuned for more of my Coachella weekend recap this week! Love the matching pants and dress! Love the dress, the print is killer! Love both outfits, perfect festival attire!